Biomass smoke exposure is harmful to pregnant women, the baby in utero, and in early years of life. There is limited information on effective strategies to raise awareness of the risk and reduce exposures amongst pregnant and postnatal women. 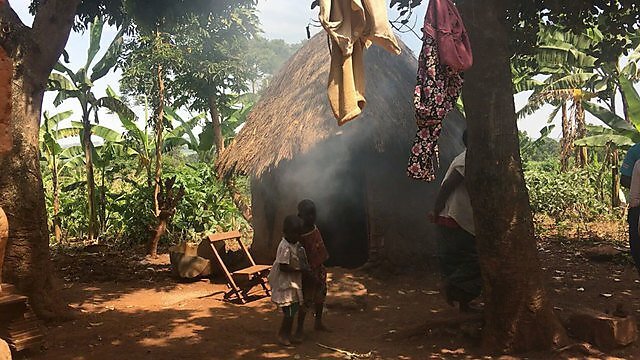 The intervention being implemented is a midwife-led education programme in the Jinja district of Uganda, aiming to teach midwives and other community healthcare workers about the dangers of biomass smoke and about reducing the risks to mother, foetus and young children. This has been co-developed with the local healthcare workers and community members who will deliver it, across four health centres. We have designed, refined, tested and re-tested educational materials and the curriculum for the training programme. behavioural change intentions to reduce biomass smoke exposures by women attending the midwife-led education sessions, e.g. 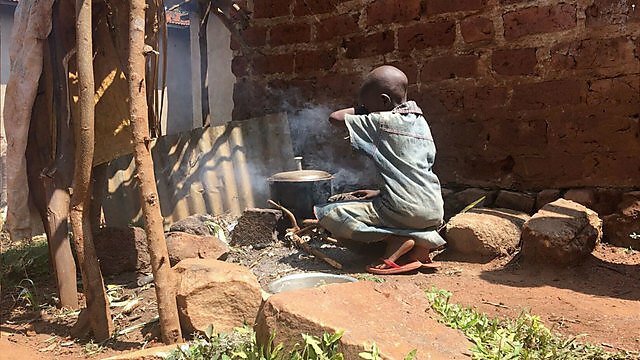 to buy a new cookstove or install ventilation in their kitchen. Starting with the lung health educational materials developed in Global Bridges and approved by the Ministry of Health, which included messages emphasising biomass smoke reduction, we followed a plan-do-study-act (PDSA) cycle to co-develop a relevant package which could be owned by the health professionals who were to deliver it. The ways in which the intervention could be incorporated into the existing structure of education that the midwives were already delivering was explored. This involved working with the full range of health services staff involved in maternity and child healthcare. 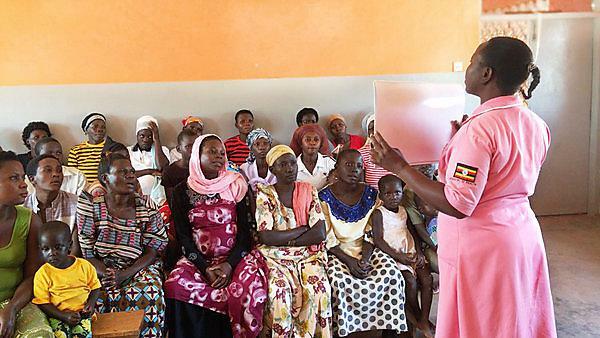 The final education materials received approval from the Ministry of Health of Uganda. University of Plymouth BA (Hons) Illustration students, Rachel Simpson, Skye Liu Tianzi and Georgina Moram, produced some artwork to demonstrate the messages of The Midwife Project.